States across the country are facing many of the same challenges. Revenues are falling and budgets are shrinking. Yet state transportation officials still have ambitious goals to improve safety, enhance economic opportunity, improve reliability, preserve system assets, accelerate project delivery, and help to create healthier, more livable neighborhoods, just to name a few. Smart Growth America works in partnership with governors, DOTs, and other transportation providers to advance these goals by helping government get out of its own way. 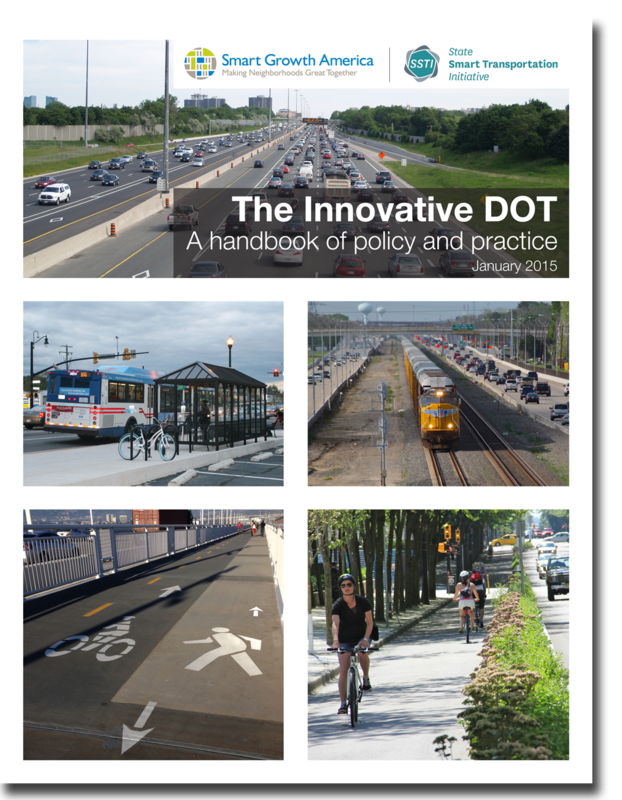 We analyze transportation agencies’ rules and culture, pinpoint hidden obstacles to developing projects that grow economies and maximize return on investment, and identifies ways to remove those barriers. This work is designed to put good policies in place on the ground, provide models for other states, and inform the federal transportation discussion. Through a new partnership with the State Smart Transportation Initiative, we have a unified home for our work on these innovative transportation strategies. If you would like to stay informed about this work in detail, you can sign up for our state smart transportation mailing list. If you would like to stay informed about this state-level work in detail, sign up for the state smart transportation mailing list for a weekly update from the SSTI team. 34 recommendations transportation officials can use to position their agencies for success in the new economy.